If you've purchased traditional hosting you can use Softaculous to install common web applications without having to do a bunch of manual configuration, for instance setting up databases. Softaculous takes care of all of this for you. 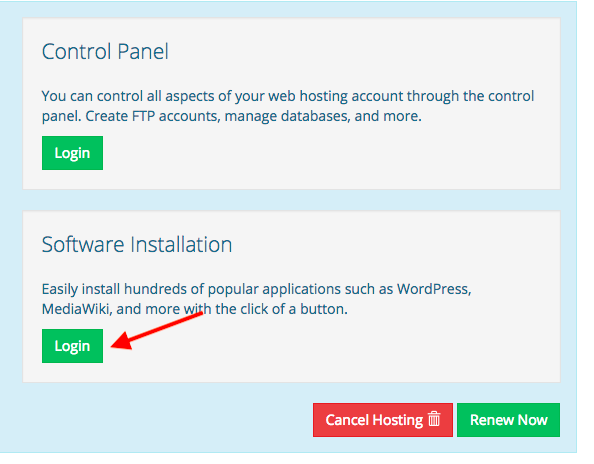 In this tutorial, we'll go over how to install Wordpress. 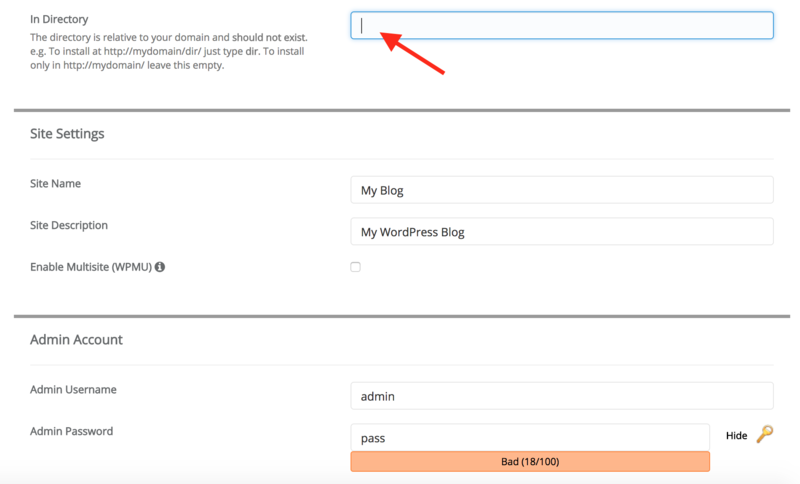 Locate the domain to which you wish to add Wordpress. To the right of the domain is a block of icons. Click the "cPannel" icon that is the leftmost in that block. If instead you see a grey house icon, you've yet to purchase hosting. You can purchase hosting by clicking on the house. On the next screen, click "Login" in the "Software Installation" area. 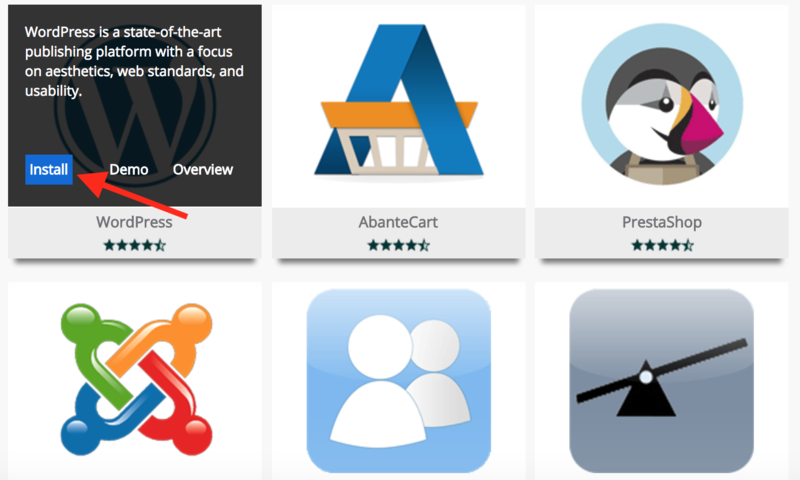 On the next screen, hover over WordPress and click "Install." On the next screen, there's one important setting to immediately change: "In Directory." In most cases, you'll want to change it from "wp" to blank. The default value is "wp", however this will install WordPress to http://yoursite.example/wp when you most likely want WordPress installed to http://yoursite.example (without the /wp.) To fix this, erase "wp" from this box so that it is blank.